He said that after approval of the election results, the Communist Party will initiate the process of forming a Government of People’s trust in Khakassia. “We have made it clear that we are ready to cooperate with everyone who is eager to work for the benefit of the Republic and the country. We have already visited all districts and cities and communicated with the Heads of enterprises and organizations. They were ready. 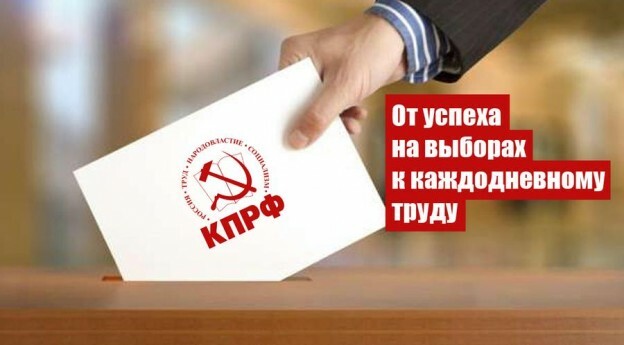 We already have relevant plans”, – said the Chairman of the Communist party. “Almost three major opponents have been defeated by Valentin Konovalov. People cast their ballots for the person who was able to take a punch and keep a promise as well as being absolutely open. We have not slammed the door and leaved the election, we have demonstrated our respect to the voters as well as the right to express their opinion,” – the leader of the Party said. Their positive experience allows us to develop and consolidate our society.